This interdisciplinary study theorizes the interaction of individual performance and social space. 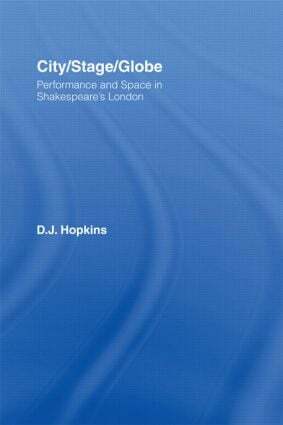 Examining three categories of space – the urban, the theatrical, and the cartographic – this volume considers the role of performance in the production and operation of these spaces during a period in London’s history defined roughly by the life of Shakespeare. City/Stage/Globe not only organizes a selection of plays, pageants, maps, and masques in the historical and cultural contexts in which they emerged, but also uses performance theory to locate the ways in which these seemingly ephemeral events contributed to lasting change in the spatial concepts and physical topograpy of early modern London.